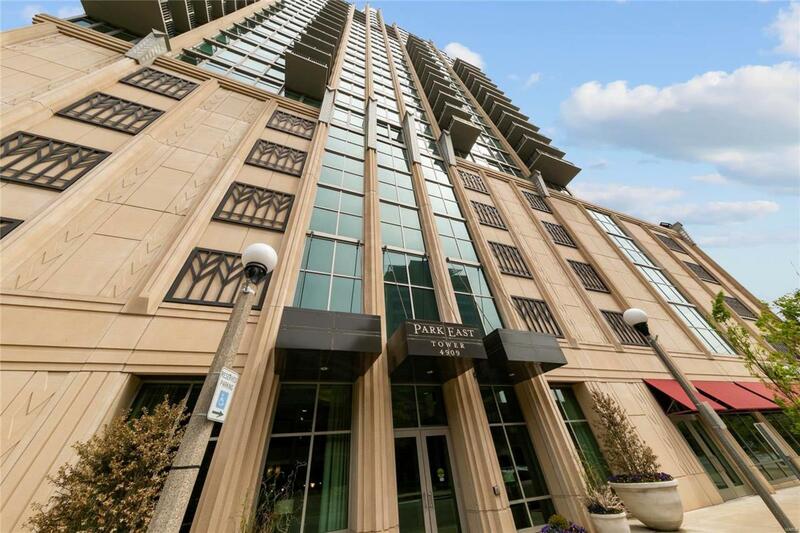 Luxury meets Urban living in Park East Tower Unit 806! 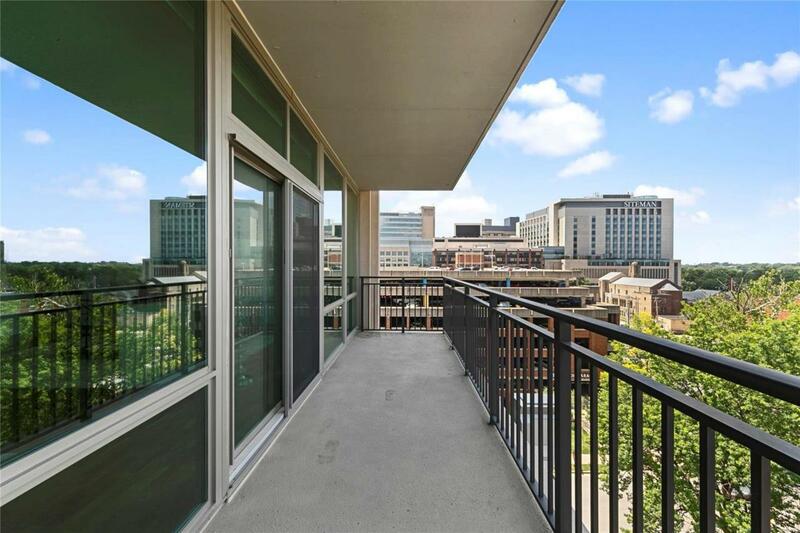 With sweeping views of Central West End, this upscale condo offers an open floor plan, gleaming hardwood floors, floor-to-ceiling windows, and two private balconies. The immaculate Kitchen offers oversized center island with breakfast bar, granite countertops, and stainless steel appliances. 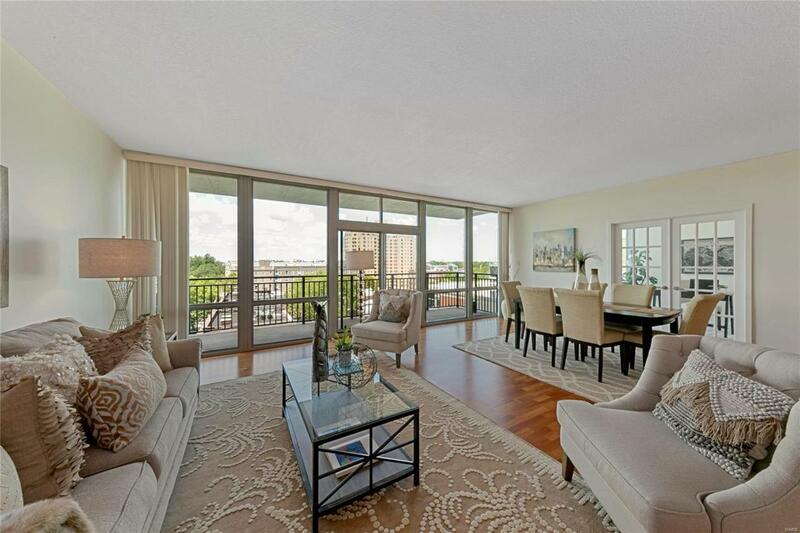 Entertain family and friends in the open concept Living and Dining Room that leads out to the spacious, private balcony with breathtaking views. Working from home has never looked better in the home office with french doors. Master Suite with private balcony has spa-like bath with soaking tub and separate walk-in shower. Youll also find an additional bedroom with ensuite, laundry, and powder room. Unit complete with storage and 2 parking spaces. 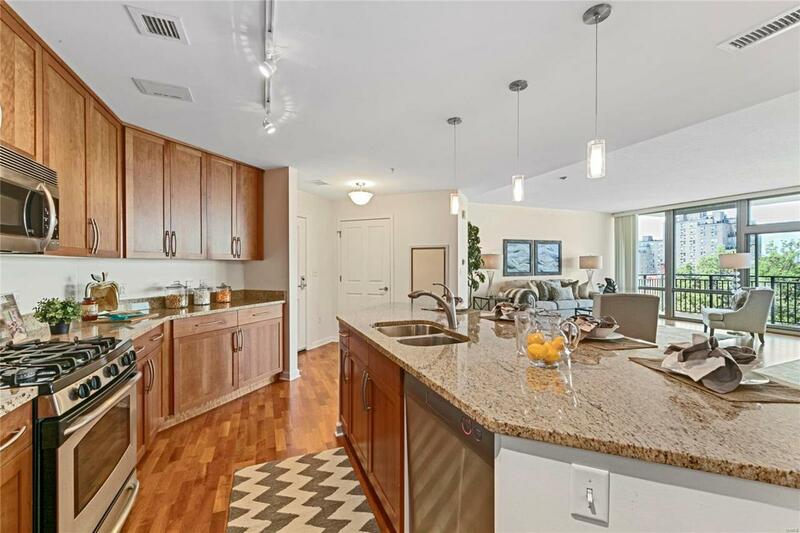 Enjoy all of the fabulous amenities including a fitness center, FireSide Lounge, and resort-like outdoor pool with gas grills and entertaining space. Includes parking #11 and #12 and storage unit #7.